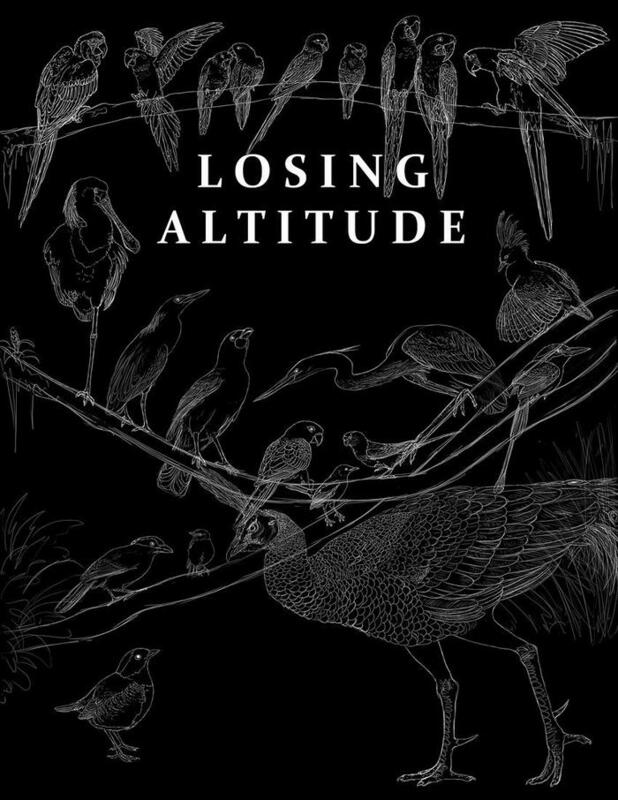 Just wanted to highlight this awesome Kickstarter campaign: Losing Altitude: Raising Awareness Through Art, which I have contributed to. In the interest of transparency, one of the artists contributing to this book is of my closest friends, Pia Ravenari. I really hope this gets full funding, since I think the book is going to be amazing. Go forth and contribute! Birds are some of the most beautiful and interesting animals in the world. They live on every continent of the world and over the ages they have developed all kinds of interesting adaptations to life in all those different places. With such a huge variety of species, shapes, plumages and colors, birds have inspired artists from the world over. This art book will bring together more than 40 artists from around the globe to illustrate threatened and endangered birds ranging from the little Fairy Pitta to the mighty Javan Hawk Eagle. The finished art book will be 8.5 x 11 inches and will come with your choice of a hard or soft cover. It will include over 100 pages of full-color illustrations and photographs of endangered and threatened birds from around the world, created by over 40 different artists. Each illustration will also include an infographic with information on the species pictured. Since artists cannot create their art without the necessary funds, the profits of this book will be divided up among contributing artists. Artists will receive a portion of the profits based on their contributions. Furthermore, since part of the point of this project is to help support deserving artists, all participating artists reserve the rights to sell originals, prints, and merchandise (etc.) of their art. In awesome Tagged kickstarter, things of awesome Bookmark the permalink. ← Bloodstones anthology is available!